(2013 Faulkner) 5" Flowers. Dip. This one certainly can be a wonderful hybridizers' tool. With the broken eye sometimes showing 10 lines. I hestitated to introduce this because the color was brownish tones, but after blooming several kids from it, I realized that as a hybrdizier I would want to use it if I had the chance. So I'm offering it from that point of view. 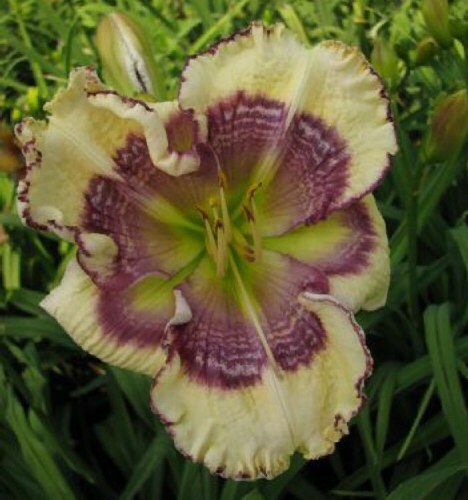 © 2016 naturalselectiondaylilies.netThis page and the images and links upon it (and the images upon them) may not be reproduced without the express permission of Natural Selection Daylilies.